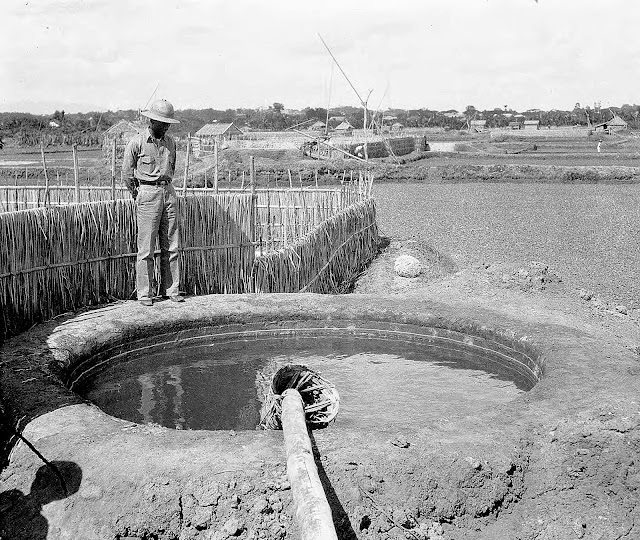 A man looking over a soil survey in Batangas in 1930. The above photograph was taken by Robert L. Pendleton in the year 1930 somewhere in a seaside town in the Province of Batangas. It was originally given the caption/title of “Batangas province (Philippines), man near water at Batangas Soil Survey.” It has been downloaded from the Digital Library of the University of Wisconsin at Milwaukee. To improve quality, the picture has been processed using graphics editing software to lighten dark areas and improve overall sharpness. Rights to the picture above belong to the Board of Regents of the University of Wisconsin System but it has been made available by UWM for educational and non–commercial use. The original photograph is available here. 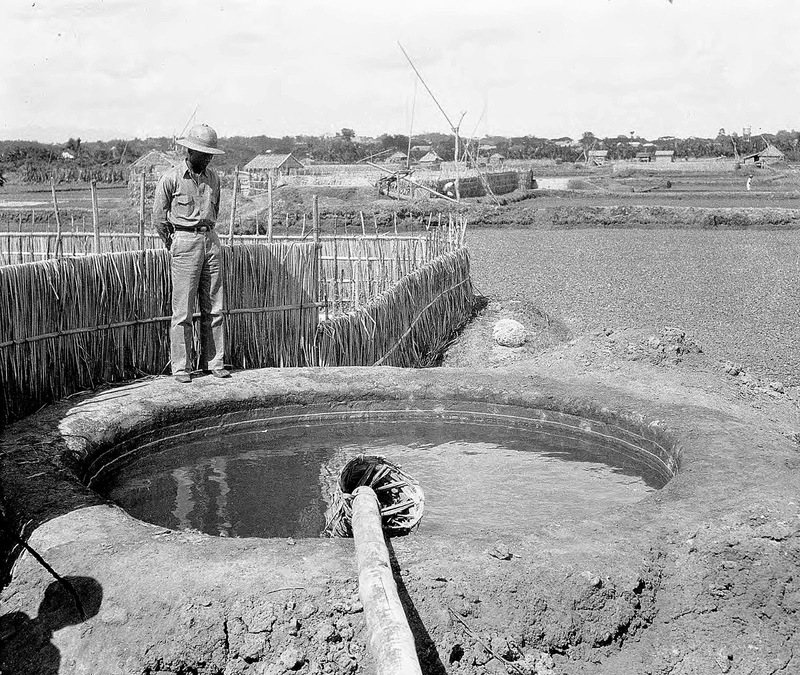 Pendleton had added a note to the picture stating that it was taken whilst a soil survey was being undertaken at a field where salt was being made, which tells us that it was taken at any of Batangas’ many coastal towns. A colorized version of the top picture courtesy of Algorithmia.